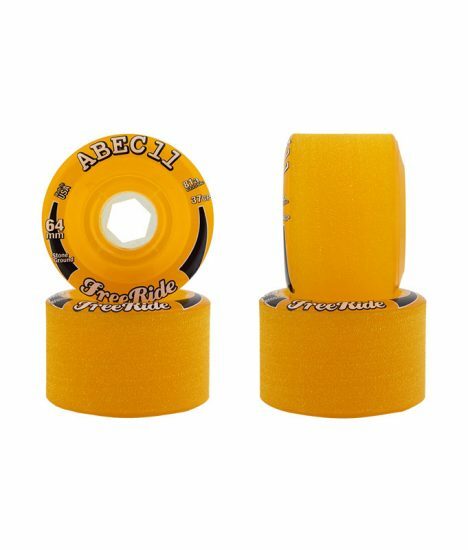 These brand new 64mm FreeRides with our stone ground finish will leave golden lines of thane right out of the box! 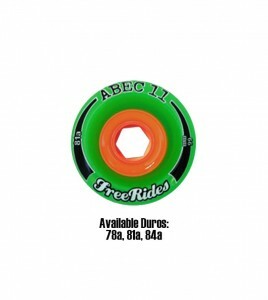 They feature our wide “FreeRide Core” that provides extra support to keep them amazingly stable and smooth while sliding. 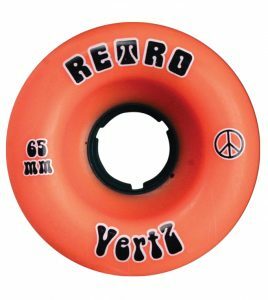 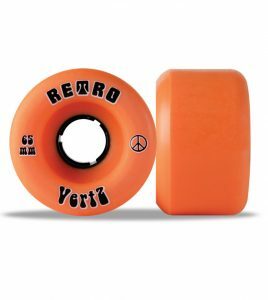 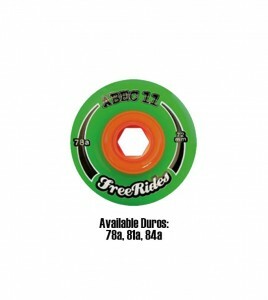 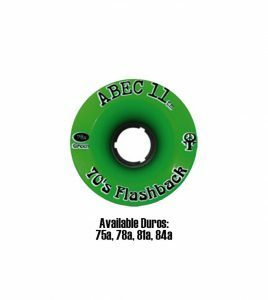 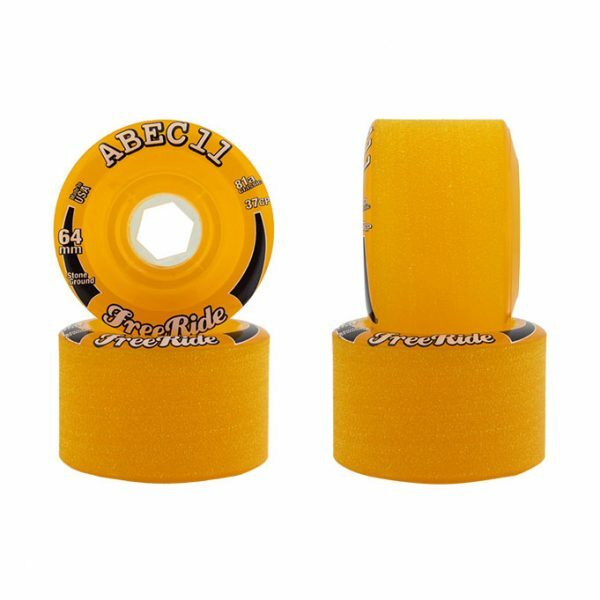 They also feature our legendary classic 81a amberthane, which results in a smooth, fast and drifty wheel that won’t let you down. 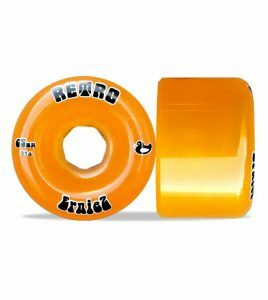 Set these up on your favorite small-sized freeride or cruising board and you’ll be one very happy camper.